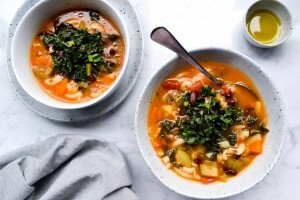 Minestrone Soup (Gluten-Free) Warming homestyle minestrone soup with gluten-free quinoa pasta. Warming homestyle minestrone soup with gluten-free quinoa pasta. Heat a large pot over medium heat. Add in the onion, leek and garlic and sauté in EVOO for 5 minutes until softened. Add in carrots and celery and sauté for another 5 minutes. Pour in vegetable stock and tinned tomato. Cover and bring to a simmer. Add in kidney beans and simmer for 20 minutes, covered. Bring to the boil and add in pasta, kale and zucchini. Reduce heat and simmer for 8 minutes uncovered. 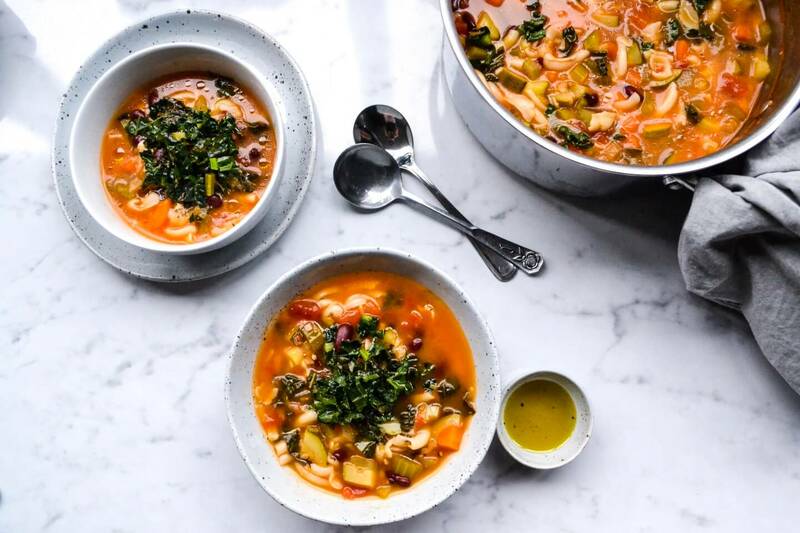 Serve and enjoy your warming homestyle minestrone soup with gluten-free quinoa pasta! For more gluten-free recipes, head to balanced Body Nutrition. Steps to prevent gluten cross-contamination during holidays. Glutagen Pty Ltd is an Australian biopharmaceutical company focused on providing clinically-relevant and scientific evidence-based complementary medicines to support the health and wellbeing of individuals with gluten-related issues. © 2016 Glutagen Pty Ltd | GluteGuard® is a registered trademark of Glutagen Pty Ltd.